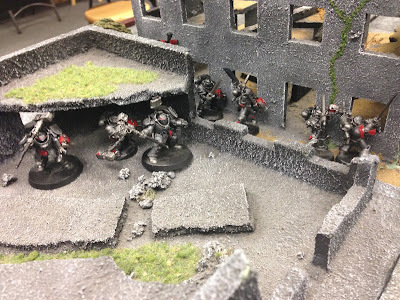 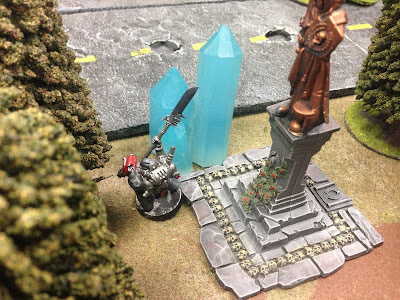 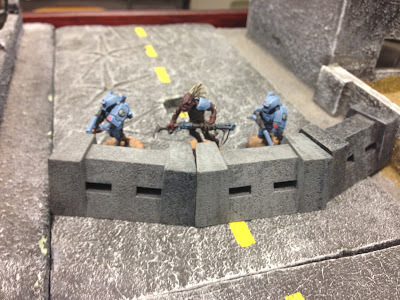 Kris Wall Minis: Kill Teams Campaign Ending Mega BATTLE!!!!!!!!!!!! 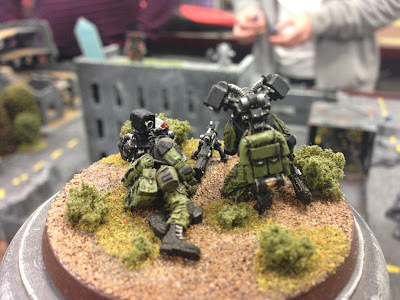 Kill Teams Campaign Ending Mega BATTLE!!!!!!!!!!!! My Kill Teams group decided to close out a successful five week campaign by having a six way free for all. 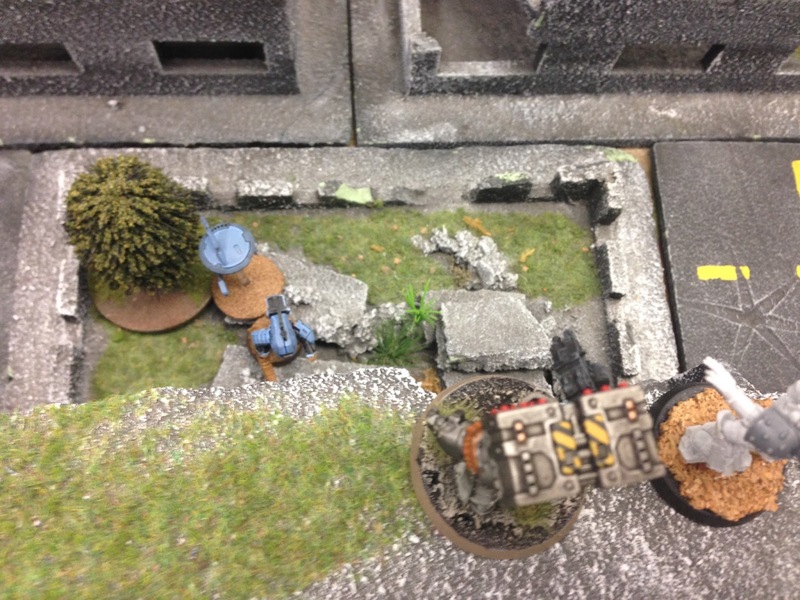 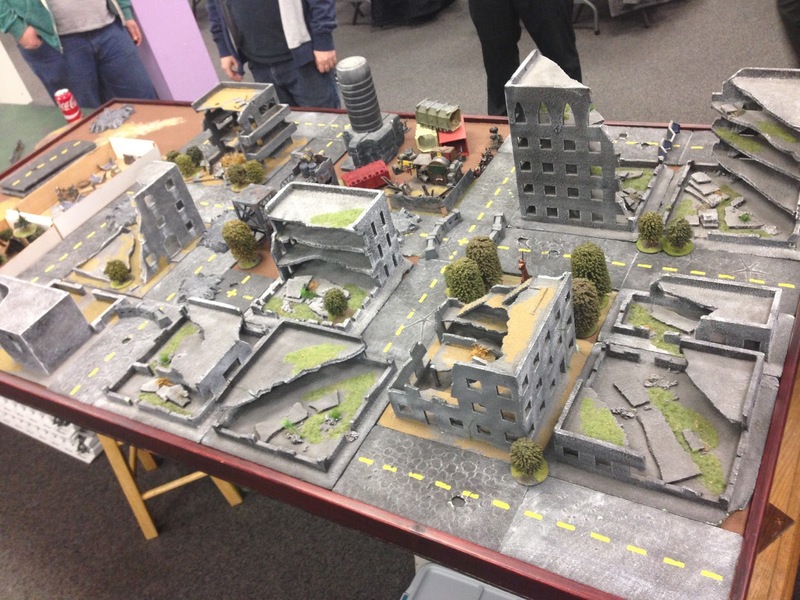 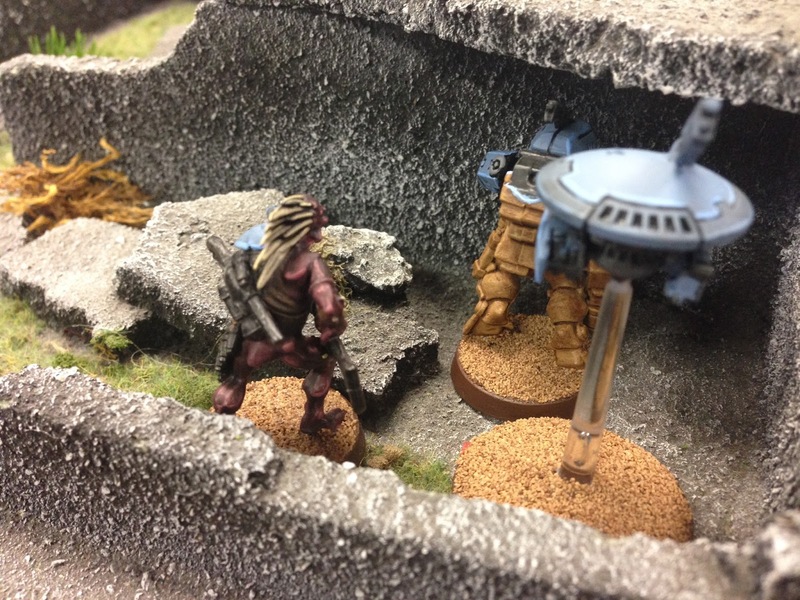 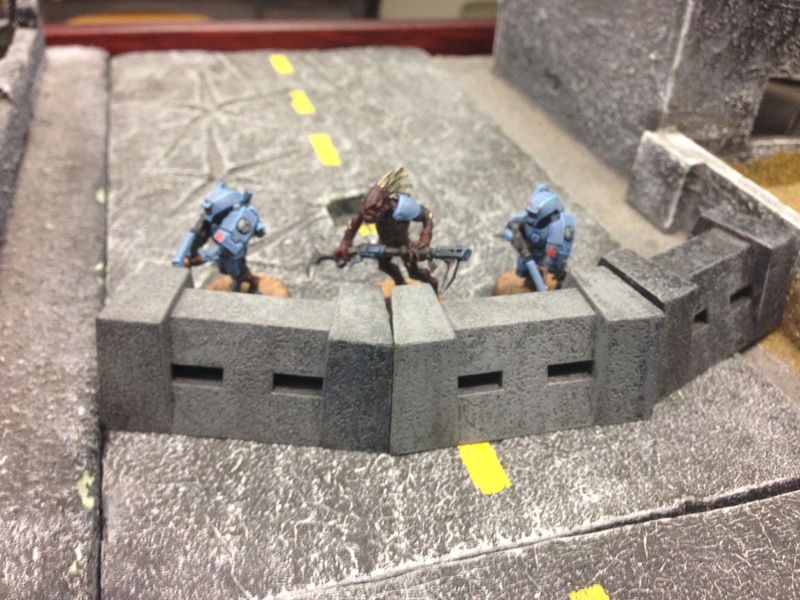 Ben's Tau Empire took the day by holding two of the five objectives at the end of round five. 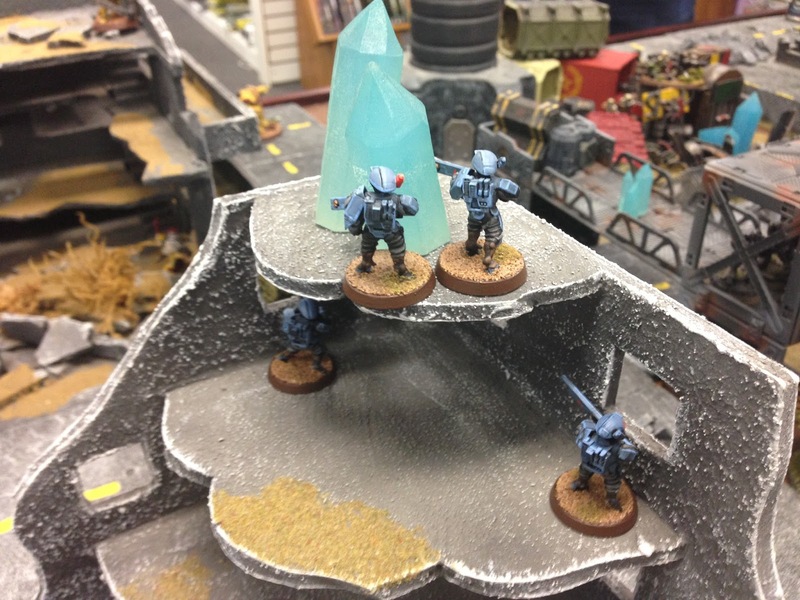 I had a couple of Marines and my Librarian/Leader left. Realistically, I wasn't mobile enough to get to most of the objectives. I also didn't have enough models to effectively hold what I was able to get to. The board that we played on was gorgeously set up. 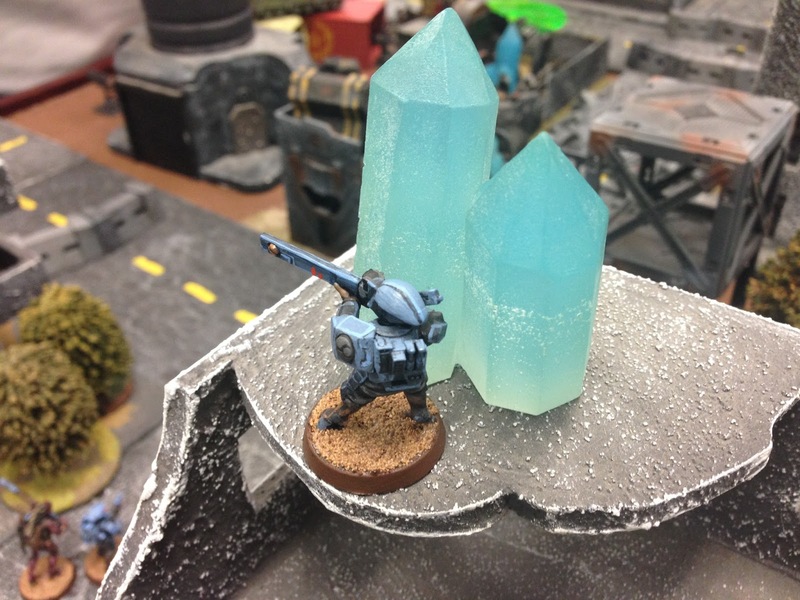 Here are a bunch of glamour shots. 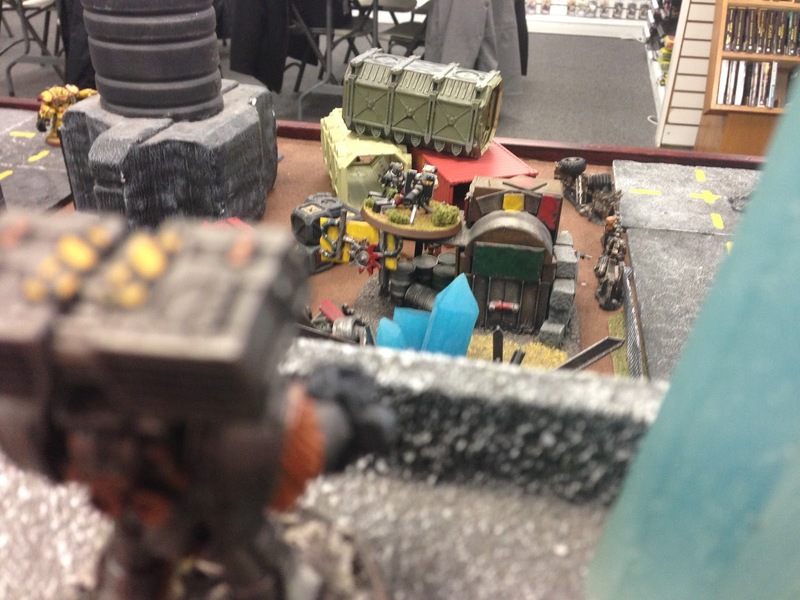 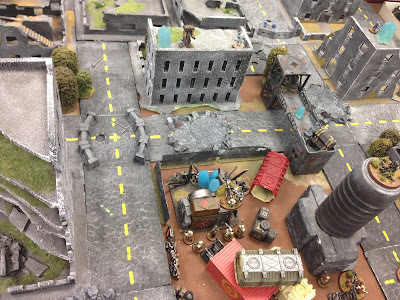 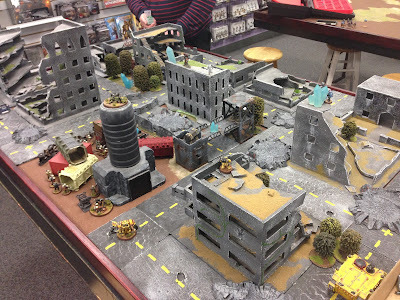 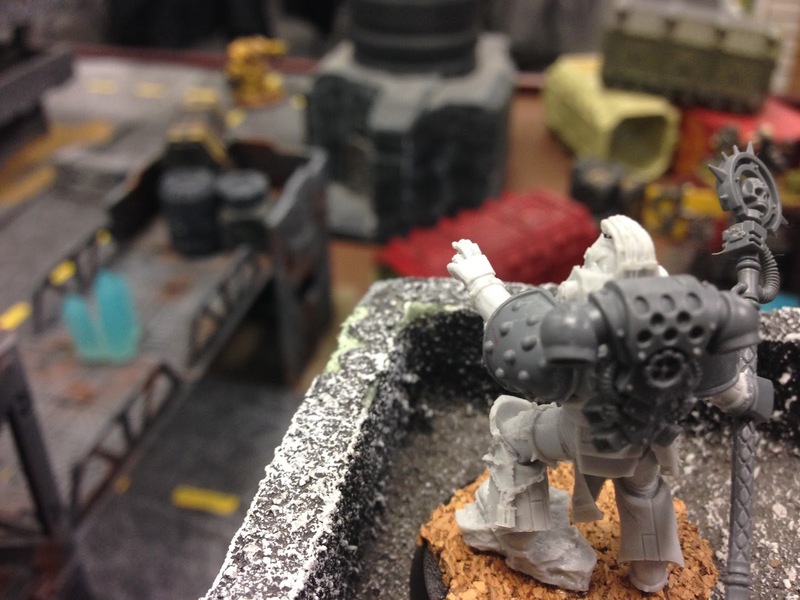 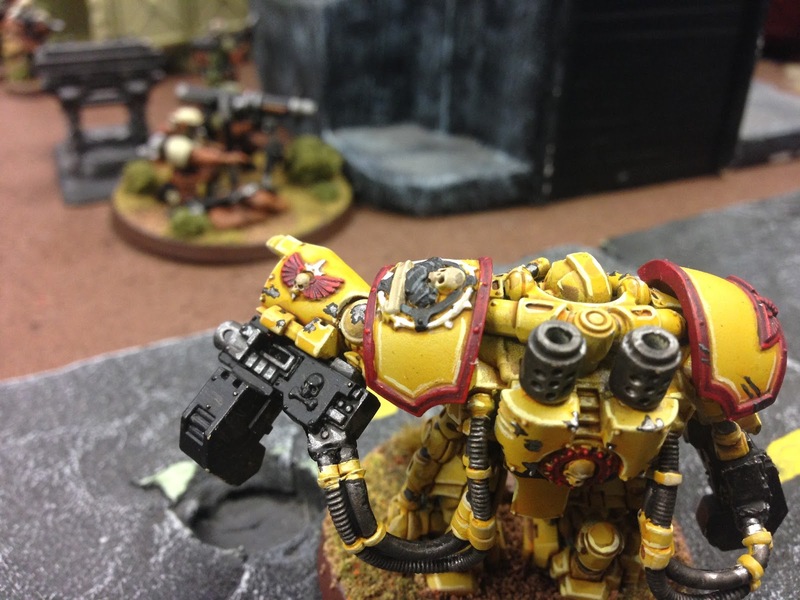 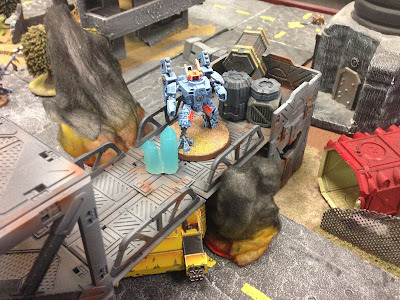 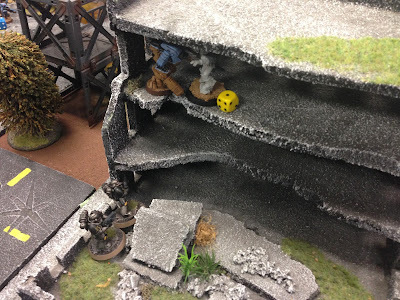 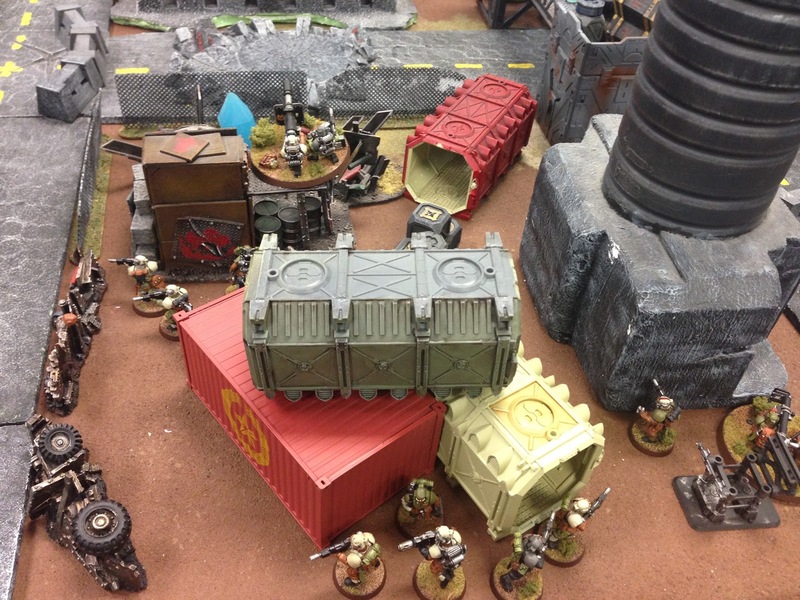 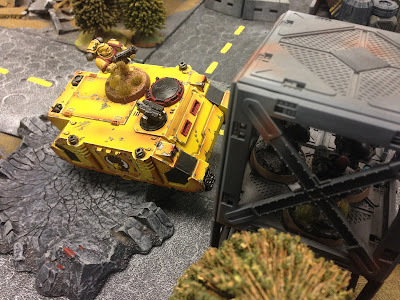 At the end of the game, the Tau held two objectives and the Grey Knights held one. I think somebody else held one, but I missed the photo.